We’re thrilled to announce our limited-edition collaboration brew, San Franpsycho® IPA, is back and in cans for the first time. Just in time for summer, this juicy IPA is more ready than ever for sunny hikes, days at the beach, or cheers around the campfire. Overflowing with stone fruit aromatics and strong floral hops, San Franpsycho® IPA is a pleasurable summertime beverage in an easy-to-grab, easy-to-chill can. 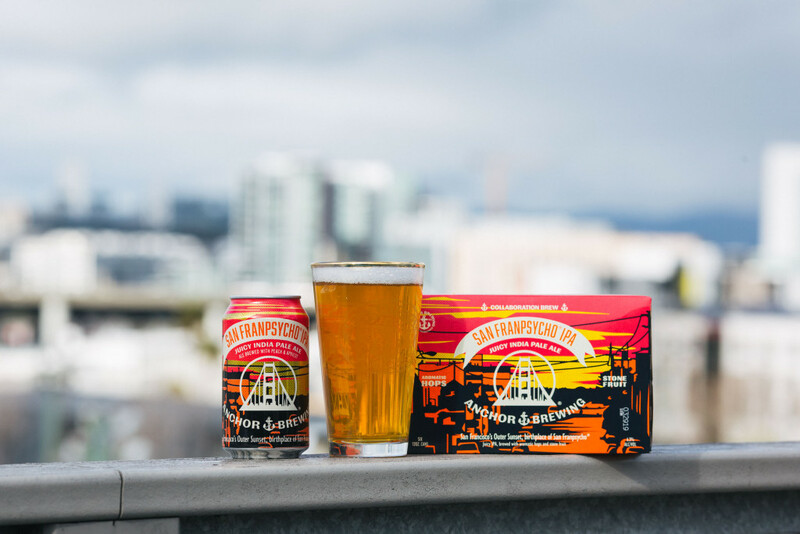 This IPA celebrates the city and culture of San Francisco but is available nationwide to share the extraordinary spirit of the city to beer lovers from coast to coast. Brewed with 2-row pale, red wheat, and acidulated malt, San Franpsycho® IPA pours a hazy golden straw color with a white fluffy head. The mouthfeel is creamy and smooth yet mildly effervescent with a hint of back-end tartness. San Franpsycho® IPA uses El Dorado, Eureka, Cascade, and Simcoe Cryo hops that lend abundantly fruity aromas of peach, apricot and pineapple to perfectly accentuate the fruits in the beer. The slightly sweet taste, with a mild Belgian complexity from the yeast and a finish of fruity hops, makes San Franpsycho® IPA the perfect pairing for fish tacos, avocado toast, and peach pie. The label is a view of San Francisco’s Noriega hilltop looking down to the Outer Sunset and Ocean Beach, the neighborhoods where San Franpsycho® was born. “We’ve collaborated with one of the most-loved local brands, San Franpsycho®, through years of community events. We were thrilled when we took the next step to brew up a collaboration beer that celebrates a special little city on the edge of the universe,” said Ungermann. 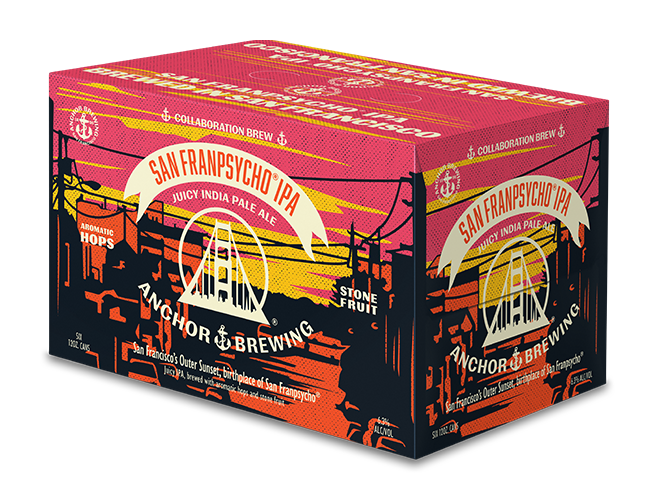 Join us for the official San Franpsycho® IPA 2.0 Release Party on Saturday, April 27th at Anchor Public Taps in San Francisco from 2-6PM. The San Franpsycho® crew and Anchor brewers will be onsite, and attendees can enjoy San Franpsycho® IPA on draft. San Franpsycho® will be live screen printing a limited-edition design to celebrate the release, and the event will feature a local music showcase and giveaways. For more information visit this link. Crack a can and savor the city with San Franpsycho® IPA, available now through September in 12oz. cans and on draught at select bars, restaurants, and stores as well as at Anchor Public Taps and the Anchor Brewing Taproom in San Francisco. You can find a brew near you by using the Anchor Beer Finder.